Located aboard Marine Corps Base Quantico, Virginia, the Alfred M. Gray Marine Corps Research Center (GRC) supports the professional military educational and academic needs of the students and faculty of Marine Corps University (MCU) and offers modern conference facilities to conduct scholarly and research-oriented functions. The GRC is home to two distinct components: the GRC Conference Center, and the Library of the Marine Corps. The mission of the Alfred M. Gray Marine Corps Research Center (GRC) is to support study and teaching at all levels within the Marine Corps through the storage of, organization of, and provision of access to tactical, operational, and strategic warfighting and international relations information. Through the Library of the Marine Corps (LoMC), the GRC maintains an extensive collection of monographs and journals, historically significant archival materials, and products of current scholarly research that is able to support professional military education and stimulate the development and implementation of concepts, doctrine, tactics, techniques, and procedures. The GRC also operates a conference center in support of academic meetings and other Marine Corps events. Marine Corps University (MCU) depends upon the GRC to provide learning resources to achieve its educational outcomes and maintain regional and joint military accreditation requirements. 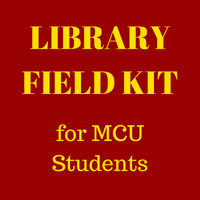 The Director of the LoMC serves on all MCU curriculum review boards and manages copyright use within the University. Headquarters Marine Corps, major subordinate Marine Corps commands and activities, and Marine Corps Base Quantico organizations use the GRC to conduct research and the Conference Center to host events. 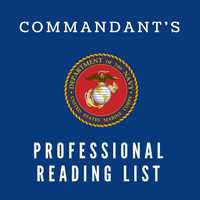 Additionally, MCB Quantico personnel, family members, and area retirees use the Quantico Base Library for their personal library needs.